– Former New Jersey State Senator Anthony Scardino, Jr. The guiding principles received from an immigrant forbearer illuminate the road to success in this loving tribute from Marc Demetriou, Lessons From My Grandfather: Wisdom for Success in Business and Life (Highpoint Life; January 16, 2018). Demetriou, one of America’s top mortgage experts, learned early in his life that success is a choice thanks to the teachings of his grandfather, Haralambos “Charlie” Pistis, the archetypical self-made man who left Cyprus penniless at the age of 16 and immigrated to America. Through all the hardship and challenges of life, Charlie managed to beat the odds and ultimately retired at the age of 60 as a millionaire. He enjoyed an amazing 37 more years with friends and family until he passed at the age of 97. Like many immigrants of his time, Charlie had never been far from his home and had to survive on wit, determination and a rock-solid set of timeless values. Through his steadfast willingness to work hard, and a determination to control life rather than allowing it to control him, Charlie succeeded on his own terms, finding happiness and financial security. In this book, Demetriou tells Charlie’s compelling story and shares his 15 timeless principles for success, applying them to the world today. · Take the mighty risks. 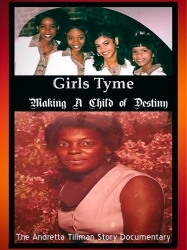 · Be resilient, persevere and never give up on yourself. · Everyone you pass in life has something to teach you. · No one ever does it alone. · Never stop moving in the direction of your dreams. · Go the extra mile. · Look for what others don’t see. · Be awake and alive to the suffering of others. · To work is to survive, and that is not enough. · Be thankful for what you have. · There are no limits and no ends. · Believe in yourself always. Through Charlie’s inspirational wisdom, Demetriou provides clarity and inspiration that readers can use to recognize their unique talents then achieve their goals in life and business. Marc Demetriou is a top-rated speaker and mortgage expert who has appeared at the Mastermind Summit along with world-renowned motivational speaker Tony Robbins and Barbara Corcoran from ABC Television’s Shark Tank. As an authority on real estate and finance, Demetriou has been quoted in articles in The New York Times, Reuters, the Associated Press, Huffington Post and many other local and national publications and media outlets. 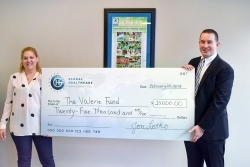 He has been consistently ranked in the top 1 percent of loan originations in the country by Scotsman’s Guide, Mortgage Executive Magazine and National Mortgage Professional Magazine, and received the “Forty Under 40” award as one of the 40 most successful business professionals in New Jersey. He is a certified and licensed instructor, offering continuing education credits to accountants, realtors, financial planners and managed care professionals throughout New Jersey. Additionally, he was co-host on WVNJ’s popular The Real Estate and Money Show. Demetriou is the proud father of three daughters. 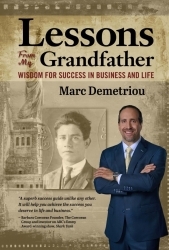 Read more about Demetriou and his grandfather’s story here: www.GrandfatherLessons.com.